23 Best Christmas Brunches Across India Because 'Tis The Season To Be Jolly! Being a cook, one of the best things about Christmas for me, apart from the gifts, is undoubtedly the food. The plum cakes, hot chocolates and the warm pies are the delicious dishes that make the occasion so deliciously enjoyable for me. It is important to begin your Christmas day with a big hearty meal, and just breakfast doesn’t cut it. All the merrymaking on the night of Christmas Eve makes us lazy and leaves little time for prepping for food the next day. Usually, we end up rounding up the entire family and heading out for a brunch. If you are like me and busy searching online for the best places for a Christmas brunch, then look no further. We have the complete list of places that are serving some of the most scrumptious plates of food in your city for a Christmas brunch. 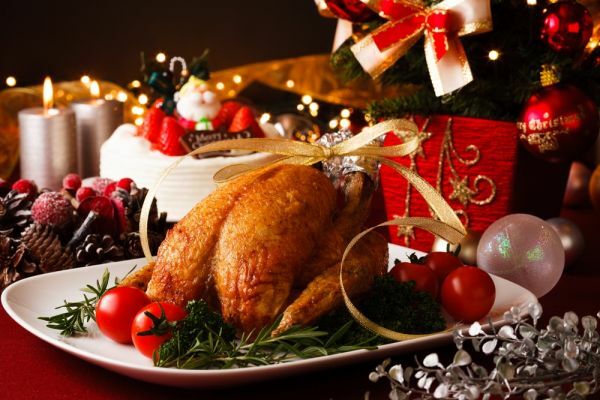 Take a look at them below to know about the best places to eat this Christmas! Saddi Dilli and neighbouring Gurugram and Noida have some of the best brunch places in the country - that is a fact. However, for Christmas, all these places take it up a notch to serve some of the best plates of food you could imagine. Here a quick glance at our top picks. 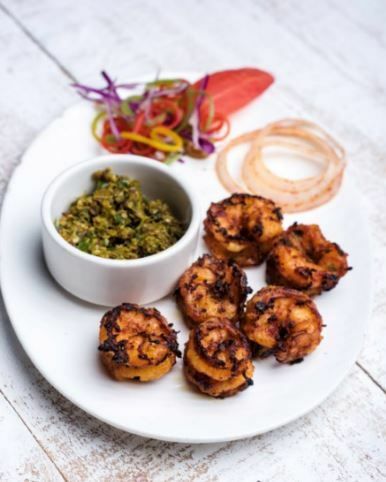 As part of a month-long festive extravaganza, Adrian Mellor, the executive chef in charge of the kitchens at The Leela Palace, has put together an irresistible line-up of dishes. They have an exclusive Christmas day brunch at The Qube. 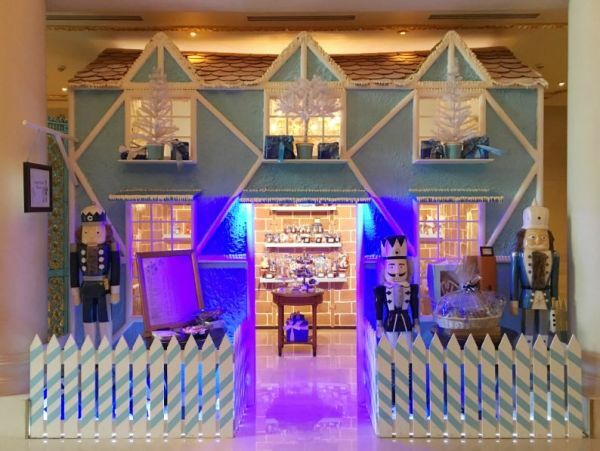 This includes an entire array of old world delicacies and Christmas favourites like mince pies and cookies, handcrafted cakes and desserts, ginger-bread themed afternoon high-tea as well as a unique selection of food and gift hampers. Jom Jom Malay has also introduced a special Christmas menu this festive season. If you really want a unique and unconventional take on the holidays, then this should be your destination for your Christmas brunch. 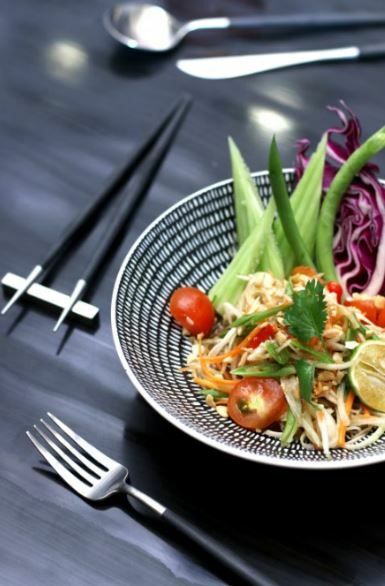 With an authentic Malay menu, the restaurant offers some of its signature dishes like the gado gado salad, a variety of satays and other specialities like the nasi goreng and char kway teow. So, don’t think twice and head to Jom Jom Malay for an amazing Malaysian Christmas brunch experience! 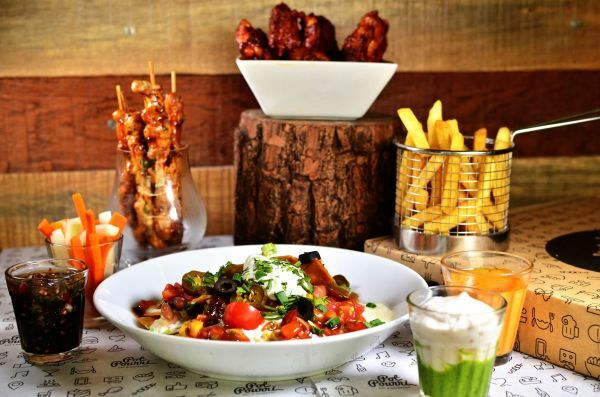 One of Mumbai’s most famous pubs opened its outlets in Delhi and they are geared to welcome Christmas with a very special brunch special. They are offering a special Christmas menu of unlimited food and drinks. They are also mixing it up with a round of games and events as well as crazy games so that you could finish your festive meal and then head home early to see what’s under the Christmas tree! 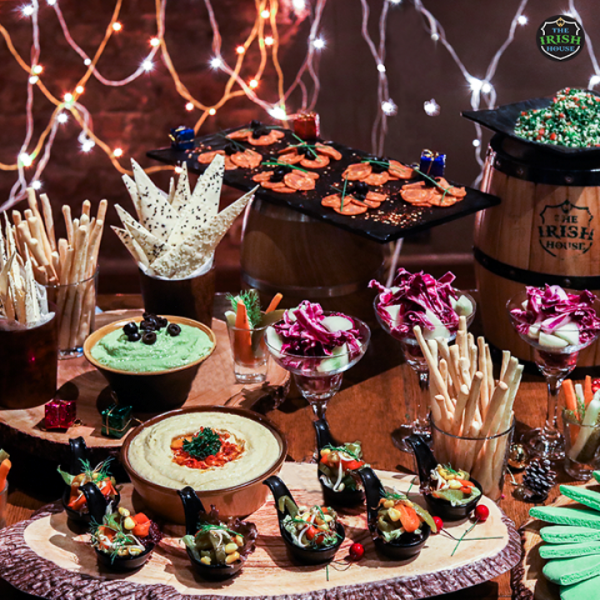 The Irish House has three outlets across Delhi-NCR (Connaught Place, Nehru Place and Noida) and the Christmas Special Menu is available at all of them. 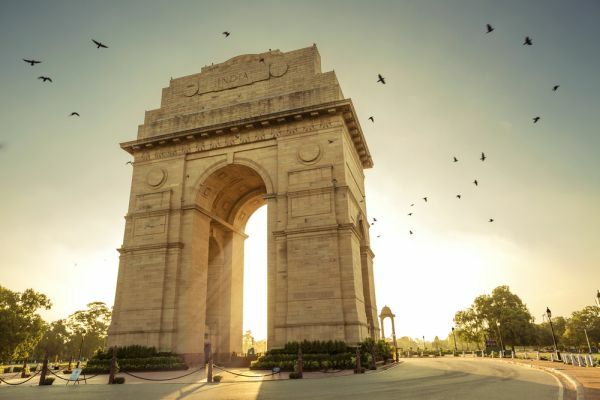 At the heart of Lutyens’ Delhi, stands the elegant Taj Mahal Hotel which has been one of the best places to stay when in the capital. In December, it transforms into a Christmas wonderland. You sit amidst old-world charm and enjoy modern-day services and cuisines. Head over here to celebrate this Christmas with your family over a lavish spread of specialities to fit the occasion. Christmas classics including a Roast Turkey, Christmas Pudding and Yule Log are on the menu. This brunch is sure to get your spirits soaring high with an unlimited round of champagne, live performances by bands and even a Santa Claus present! If you ever imagined what Christmas on the Mediterranean coast would taste like, you’d only have to visit Fres Co during this time of the year. The Italian-inspired restaurant is bringing the country’s classic flavours to its Christmas brunch buffet. Apart from the traditional dishes like roasted turkey and turkey roulade, you can also enjoy a lavish spread of soups, salads, starters, grills counters, with mouthwatering thin crust crunchy pizzas and a live pasta station. There’s even live music section to soak in the festive cheer. This Zorawar Kalra-owned and operated restro-bar is a stunning place right beside the One Style Mile in Mehrauli. It is known for their unique twist on Thai food and delicious cocktails. This festive season, Bo Tai is offering another reason to celebrate the birth of Christ. Warm, succulent dishes are on offer like the massaman curry, corn and water chestnut dumplings, preserved raw mango avocado and the most decadent coconut crème brulee. You can enjoy these mouth-watering dishes with Prosecco and bubbly cocktails. If you’re looking for are up for something experimental, this is where you should be heading come December 25th. With its urban-design aesthetic, live music, and an active social scene, Aloft is the hub of business and leisure. However, if you truly want to enjoy the hotel’s award-winning service and food, then you just need to go to its signature all-day diner, Nook. This Christmas, Nook is offering a decadent menu for its customary brunch, carefully prepared by a team of culinary experts. Some of the signatures include succulent roast turkey served with classic cranberry sauce, lamb leg and plum pudding. Andaz Delhi is all set to make Christmas even merrier with an exclusive lineup of treats at its European food hall, AnnaMaya. The place will be hosting a ‘Naughty or Nice’ themed Christmas Brunch with a variety of traditional dishes and signature specials, lively Christmas carols, champagne and loads of entertainment. AnnaMaya will also feature a roulade station with different meats including turkey, duck, chicken, pork, leg of lamb and fish. For those with a sweet tooth, there is an exclusive range of delectable desserts prepared for the occasion by pastry chef Gordon Galea. Christmas is observed with a lot of warmth and fervour in Mumbai. 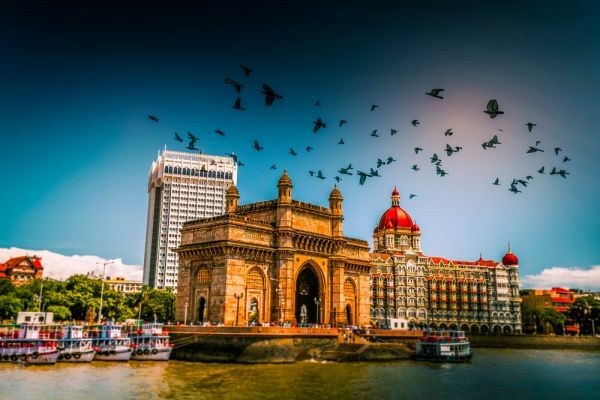 With beautiful midnight masses held at historic churches, the city-wide merry decorations, Christmas-themed events, the holiday in Mumbai is an affair to remember. There are plenty of places for your special Christmas brunch in the maximum city, so book your table right now. Although the chill in Mumbai is not that severe, this place will cosy you up with the selection of special winter delights. The Shalimar has the perfect garma-garam preparations for your Christmas brunch from murg mirza tikka and aachari khumb to tandoori murg, kasoodi paneer tikka, jhinga tikka. Along with this, indulge in some mouth-watering kebabs while you take in the beautiful views of the city. They have the entire line-up - Christmas cakes, bubbly macaroons, snowflake cupcakes, X-mas cakesicles and candy cane brownies. You can even grab exciting X-mas baskets for your loved ones. The brunch menu comprises of eggs to order, a salad station and unlimited appetisers. Some of the specialities are made up of traditional roasted turkey with cranberry glazed carrots, stuffing and gravy & festive dessert paired with in-house cocktails & drinks. 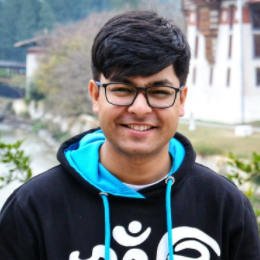 Plus, there is a live performance by Hushad Khan as well! Hyatt Regency plans an elaborate Christmas menu to give you one-of-kind festive experience. Roasted turkey, chicken stroganoff, salmon wellington are just a few of the dishes that await you. Plus, a selection of wines and sparkling champagne are on offer to complement the food! They even have a pre-Christmas brunch set up for December 24, just in case you are not able to make it on Christmas day. Radisson doesn’t want you to be just satisfied with the traditional plum cake this Christmas, which is why it lays down a variety of options to pick from at their brunch. The hotel also boasts of a classy ambience, so you are guaranteed a wonderful ‘Christmassy’ experience. 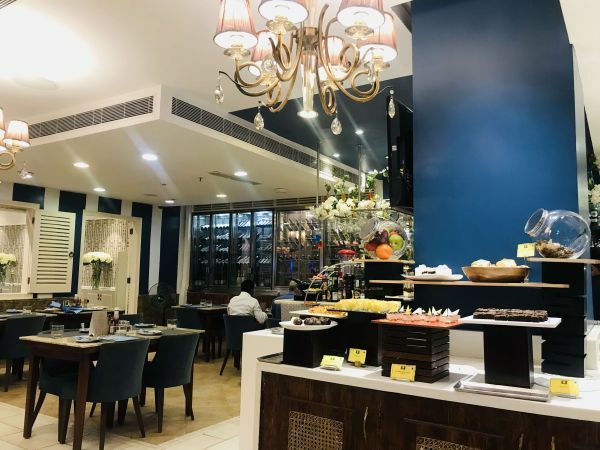 Pot Pourri in Cubic Mall checks all the boxes as one of the best places to grab a meal on the day. You can treat yourself to a lavish spread comprising of prawn cocktail tartlets, basil chicken, a Thai green curry and a chicken mausaman curry. End your meal with some traditional holiday desserts like plum cake or gingerbread cookies. The Westin is bringing the Christmas feeling with its Holly Jolly Christmas Brunch at one of its restaurants - Level 18. 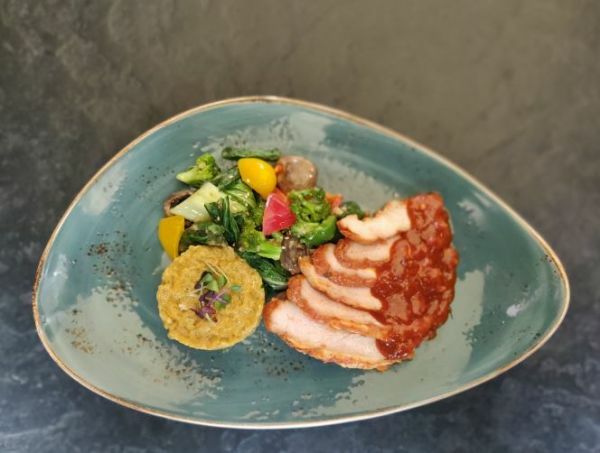 The menu is full of mouthwatering items like lamb osso bucco with saffron risotto and gremolata, maple and pomegranate glazed gammon Ham, along with a special Christmas pudding and much more. They will also be offering live food counters and festive cocktails to tempt you even further. 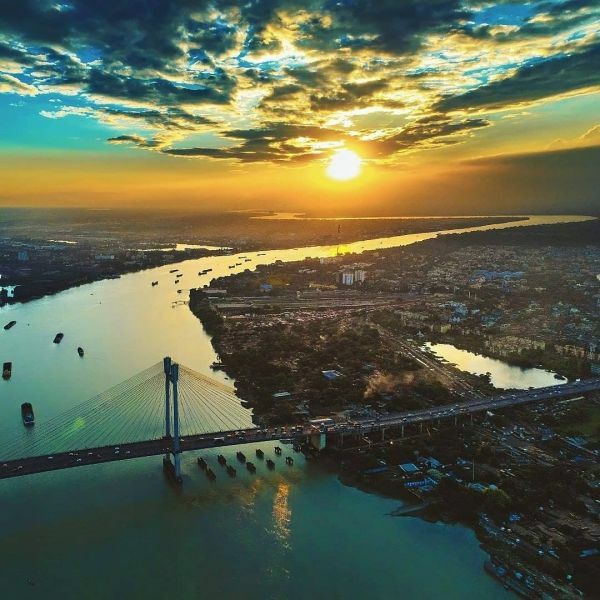 While the erstwhile Nizami city may not be known for its fervent Christmas celebrations, it may take you by surprise. 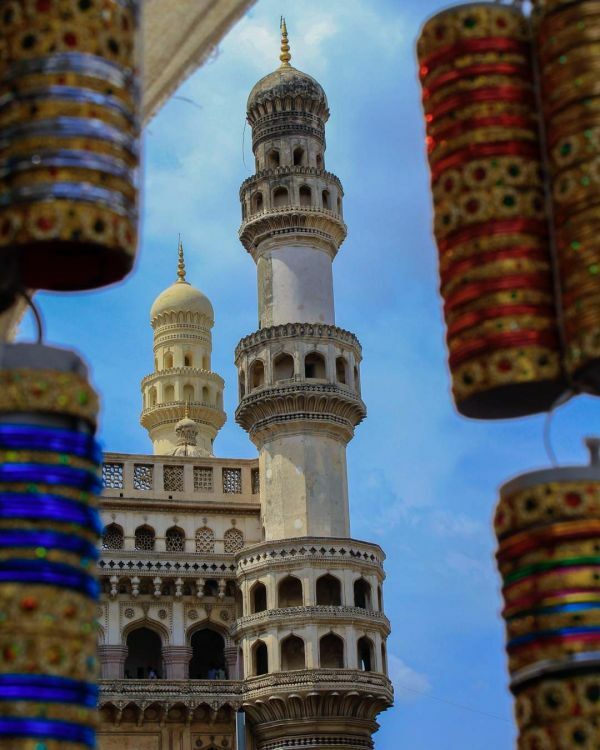 The growing influx of information technology (IT) companies and people from all over the country have ensured Hyderabad celebrate the birth of Christ with equal enthusiasm as Eid or Diwali. If you happen to be in the city, here are some cool places to grab brunch on Christmas day! Located at the heart of Hyderabad’s IT sector, Hitech City, The Westin is a convenient option for travellers and locals. The swanky property is known for its immaculate services and hospitality, spa centres, terrace pool and it’s brilliantly innovative restaurants. For Christmas, the hotel is all set to roll the red carpet for its festive brunch at its signature venues - Seasonal Taste and Prego. 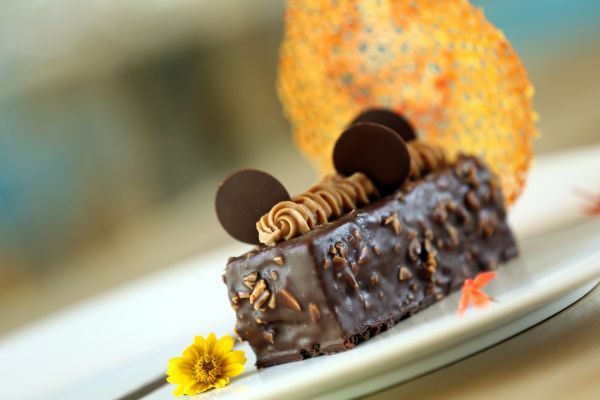 Both restaurants will host a scrumptious spread carefully prepared by a team of culinary experts. Some of the known favourites include a succulent roast turkey served with a classic Giblet gravy and a scrumptious Yule Log amongst other delectables. You can pair your meal with the most beautiful mulled wine. In the midst of green landscapes and Hyderabad’s skyline views is the city financial district's most coveted property. 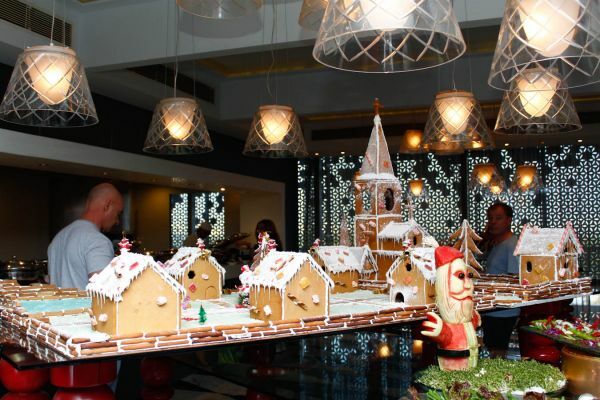 The Sheraton is known for its Christmas celebrations at both its restaurants - Zega and Feast. Both restaurants are offering separate assortments of festive flavours. However, if you have brunch on your mind, then the Feast is the best option. The restaurant has carefully crafted a festive menu with lamb picatta, jerk-spiced chicken peg and seafood pies, and mulled wine. The Christmas celebrations at The Park have that added layer of heritage in its food and festivities. Its signature restaurant, Verandah, is offering a mouth-watering menu of traditional Christmas dishes alongside a panoramic view of the lake and the city beyond. The spread includes a lavish buffet spread starting with roasted turkey, a roast leg of lamb and butter-poached lobster. This also includes luscious festive desserts such as Christmas pudding, ginger cookies and pumpkin pie. 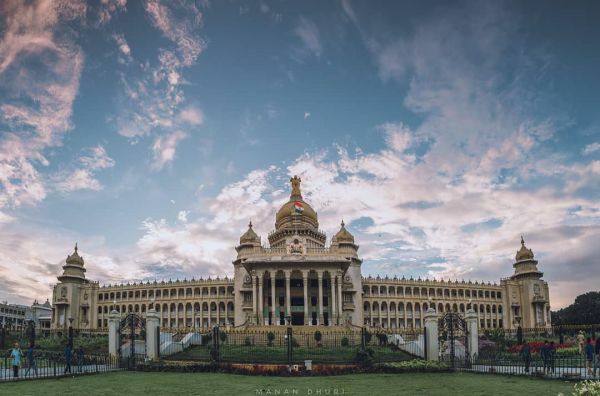 Bengaluru is also known for its food during this time of the year. The bakeries and restaurants are brimming with the unmissable delicious aromas of Christmas. If you are in the mood to try a few of those places out for a Christmas brunch, take a look at our recommendations below. The Marriott’s proximity to the IT parks of Whitefield and the high-end shopping centre of Phoenix MarketCity make it a convenient place to drop by for a lavish meal. On Christmas day, you can stop over at its restaurant, M Café, for an indulgent brunch like no other. The menu begins with the most delicious cured meats like parma mam, salami Milano and smoked salmon. Tease your palate with holiday specials like the maple-glazed mam, stuffed turkey, Cranberry Sausage and a roast leg of lamb. If Indiranagar turns into a Christmas wonderland, then Smoke House Deli would be its quintessential North Pole. The restaurant transforms its look and food to pay ode to the season. On the menu, you’ll find an eclectic mix like roasted chicken, risotto, fried onions, and wine-glazed pork - perfect belly fillers for the season. If it is just desserts you are after, there is the chocolate soil, almond crumble log, and classic baked Alaska - all best washed down with a glass of mulled wine. The scrumptious brunch will let you bring in the beaming festival of greens and reds in the tastiest of spirits. You could feast the four-course meal consisting of signature dishes and new additions include appetizers and mains like Pho chicken, Spicy Shrimp Cake, Shanghai Mushrooms and Corn Roll and Grilled Tofu Steak with Ginger Sauce among others. There is also the Yuzu Cheesecake with a sour citrus compote will mesmerize your taste buds while leaving you craving for more. Park Street decked up in lights is a joy to behold. The city lives and breaths food during the season and it is no surprise that people are queueing up to make reservations for their Christmas brunches at some of the iconic places in the city. We managed to select our tops picks. 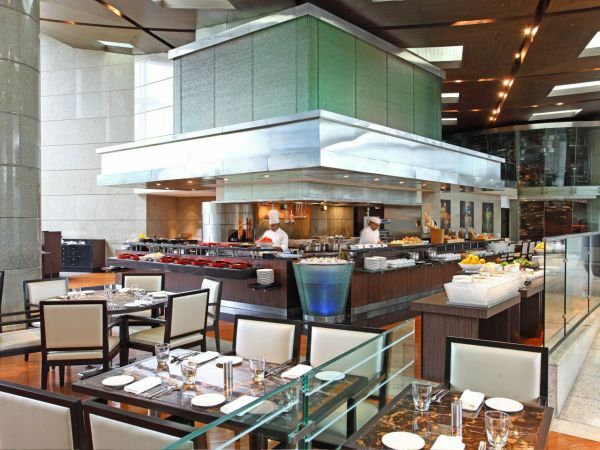 A lavish brunch buffet and a myriad of festive favourites and unlimited beverages are on the offer at this ITC Sonar’s highly rated restaurant. Eden Pavillion is also known for its mellow live music and fun surprises for children. Expect tasty winter specialities at their Christmas day brunch including roast vegetables, puddings, stews, Norwegian smoked salmon and many more. You cannot talk about a Christmas Brunch in Kolkata without getting Flurys into the conversation. The iconic 1930s-style tea-room cafe has a host of famous Christmas specials. These include a Flurys port-flavoured ‘Yuletide’ sangria, Flurys Christmas special ice tea as well as mains like the traditional roast turkey and much more. The cafe is known for its desserts and if you are a sweet tooth, then you’ll go crazy over their steamed spicy chocolate and gingerbread pudding with chocolate sauce and whipped cream. Yes, of course, they have all day dining there, but the JW Kitchen is spreading out splendid brunch buffet this Christmas. What also caught our attention is the specially crafted menu at its signature Asian restaurant, Vintage Asia. It consists of specialities like gai kaprow, caramelized pork belly, Szechuan fried chicken, crispy taro rings, edamame and truffle dumplings.